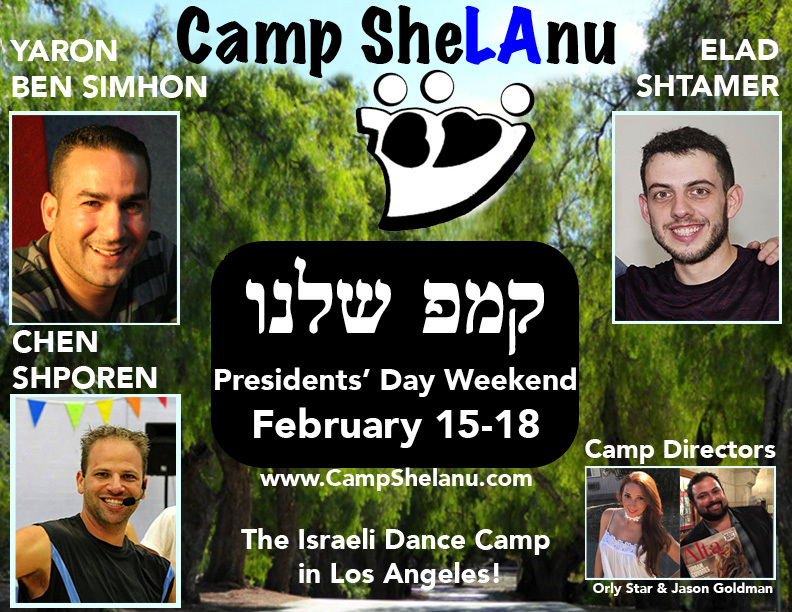 The Israeli Dance Camp in Los Angeles! CAMP SHELANU is a dance camp for everyone. Whether you’ve been dancing for weeks, months, or decades, there is a place for you on the dance floor. Registration includes dynamic workshops, delicious kosher food, never-ending snacks, Kabbalat Shabbat, dance-til-you-drop parties, memorable experiences, and endless opportunities for Facebook posts. Oh, and a few special surprises!